When my kids were in high school they were doing nothing when they weren't doing their homework. I said 'Come on, we're going to open up a business'. We did. A day and a half after we opened, we were in the black. We've been here ever since, so we're doing something right. Given that "ever since" refers to a span of thirty-four years, it's safe to say Ms. Albert is right. Back when she started, she says there were no other stores of this kind in business. 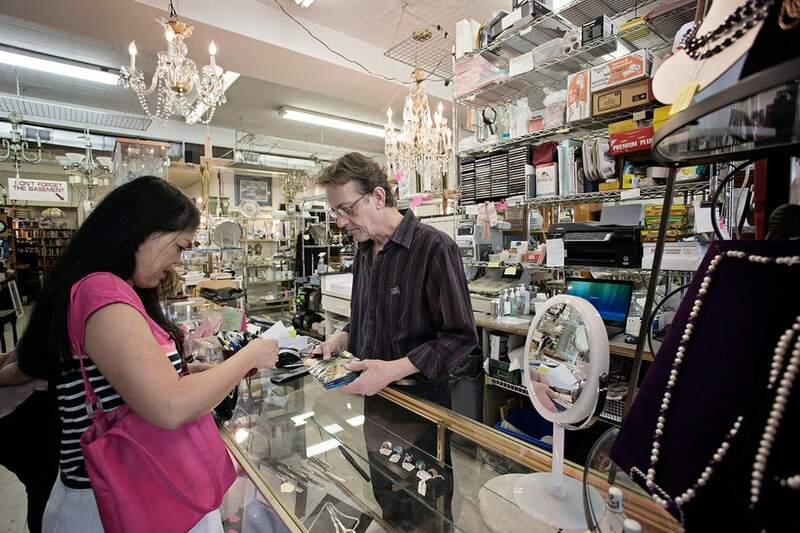 As its name suggests, the store sells not only furniture, but jewellery and other odds and ends – all on consignment from people wanting to avoid the hassle of showing and marketing the stuff themselves. This is, in Ms. Albert's opinion, the most important service that the store provides, along with offering everyone else "quality at a bargain". The original owner of an item receives sixty percent of the sale price once the piece is sold, and may withdraw it at any time before then. 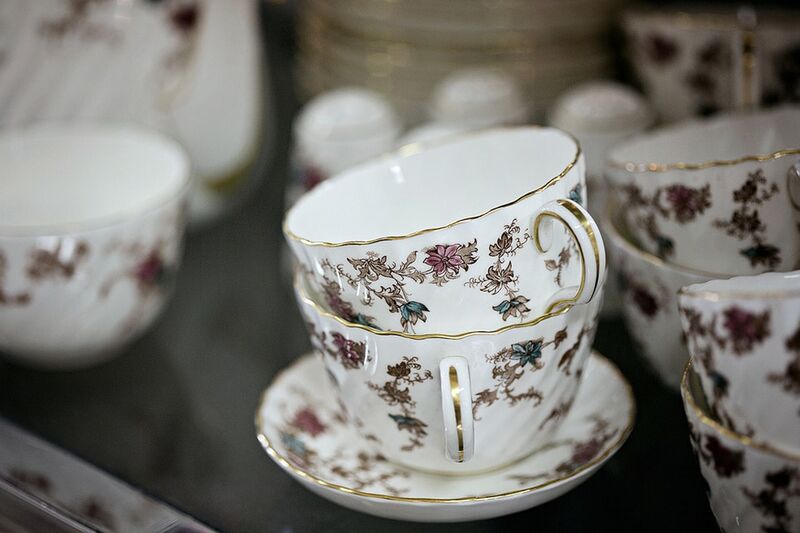 Those hoping to sell on consignment through The Elegant Garage Sale should bear in mind that the store does not accept everything. Not only are there certain quality standards to meet, but the store simply does not sell upholstery, clothing, rugs, drapes, electrical appliances or mattresses. 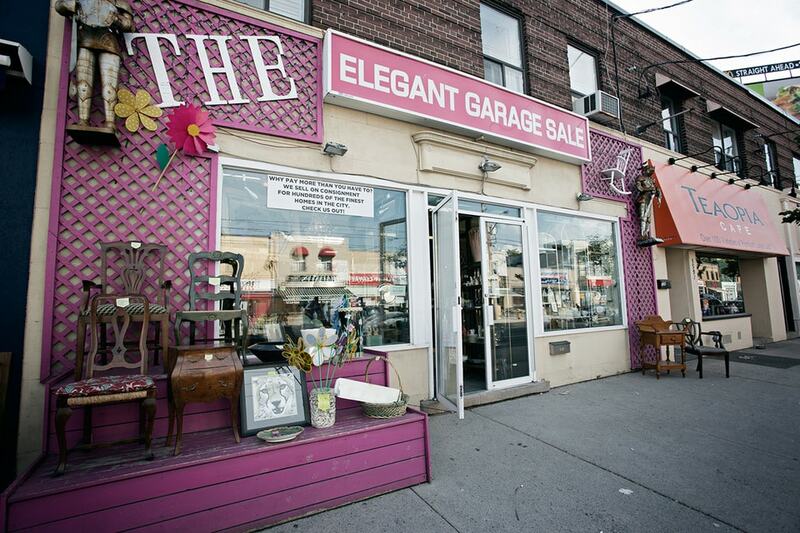 "Low end bric-a-brac", to use Ms. Albert's term, is also discouraged. You can pick up the Terms of Contract if you drop by, although be warned that they are currently a bit out of date. Some services mentioned, such as estate services, are not really offered any more, but pick-ups and deliveries are. 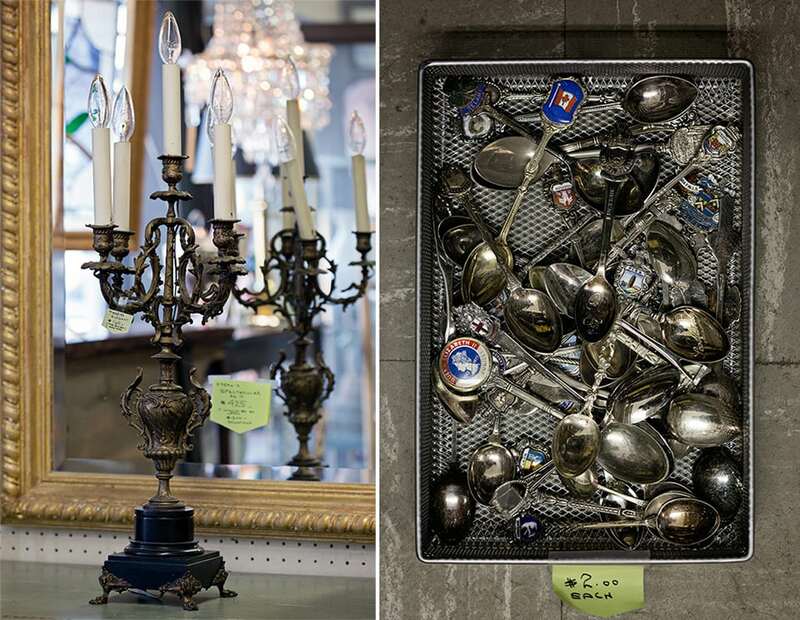 Aside from quality, there are no overarching themes or areas of specialty at The Elegant Garage Sale. The stock changes on an almost daily basis; some regular customers come in on a daily or even twice-daily basis, just to see what's new. The mood of the store is relaxed and friendly, with amusing signage, such as the sign over the steps into the basement which warns people that they should be watching their heads by now, and the exterior is a cheerful and eye-catching pink.